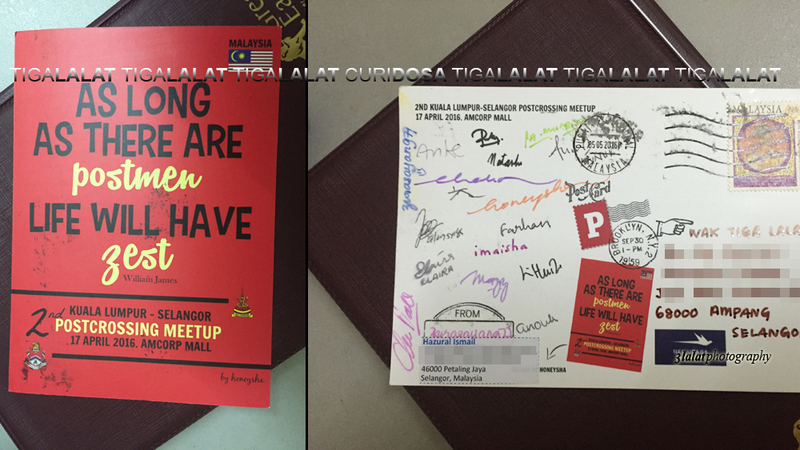 The postcrossing meetup held at Amcorp Mall on 17 April 2016. Actually I was supposed to join the meetup, but life was so busy. So I missed it. However, our good postcrosser who remember me would like to give me the special event postcard. Thank you cik kak Hazurai. APA KHABAR WAK LAMA XBERSIARAN..
Saya menanti koleksi postcard Wak terkini..